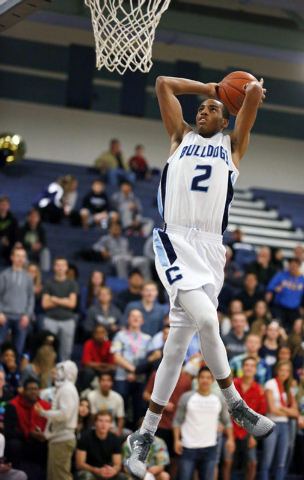 Centennial’s Darrian Traylor doesn’t have much varsity experience after missing his junior year with a knee injury. 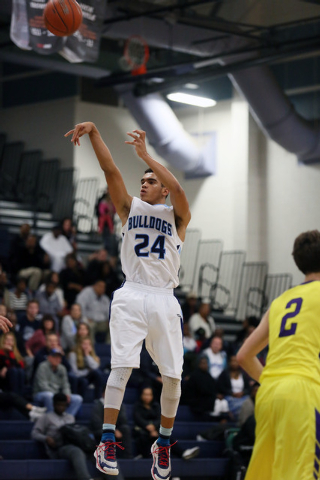 But the 6-foot-4-inch, 200-pound senior guard certainly looked comfortable Friday night. 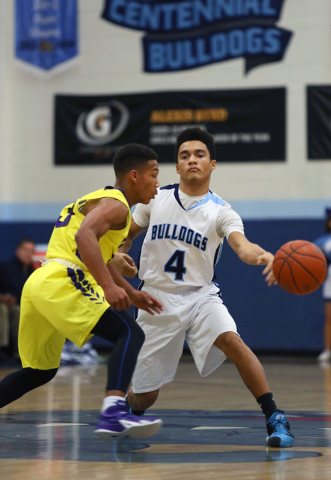 Traylor had 24 points, five rebounds and four assists to lead the third-ranked Bulldogs to a 69-58 boys basketball victory over visiting Durango. 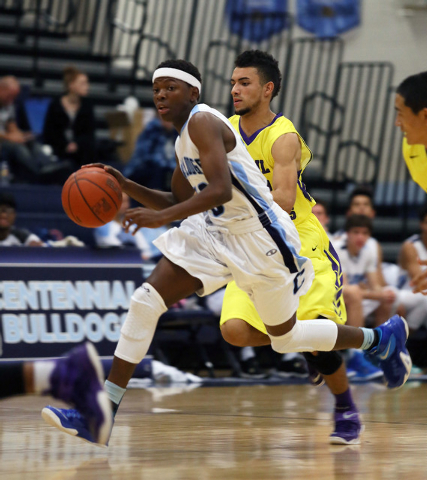 The game looked to be headed for extended garbage time after Centennial (7-2) took a 41-22 halftime lead. 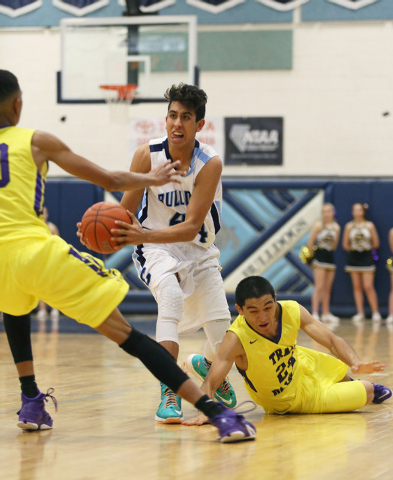 But Durango (2-4) didn’t fold, and the Trailblazers got within 55-50 with 6:30 to go after what amounted to a four-point possession. 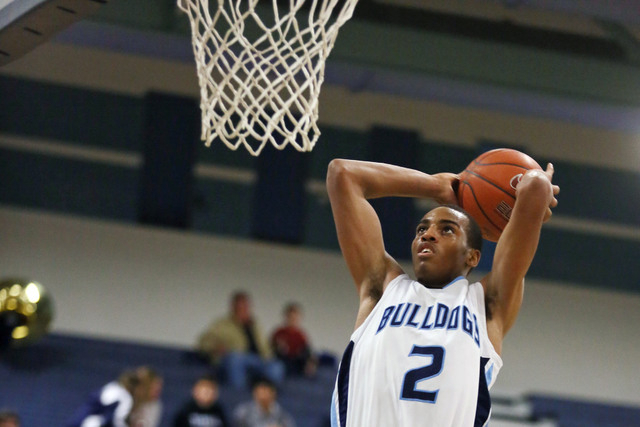 Victor Ross scored and was fouled, but missed the free throw. Zyare Ruffin grabbed the offensive rebound and was fouled. He hit both free throws to cut the deficit to five. Traylor, who has signed with UC Irvine, then scored on a drive, and his transition bucket with 4:42 to play made the score 59-50, and Durango didn’t threaten again. Traylor tossed an alley-oop pass to Troy Brown for a transition dunk that made the score 67-54 with 1:29 to play and essentially iced the game. 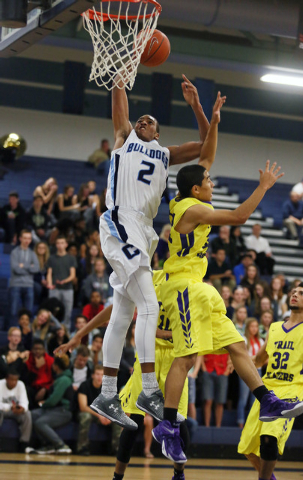 Ross had 11 of his team-high 15 points in the second half to lead the Durango comeback. 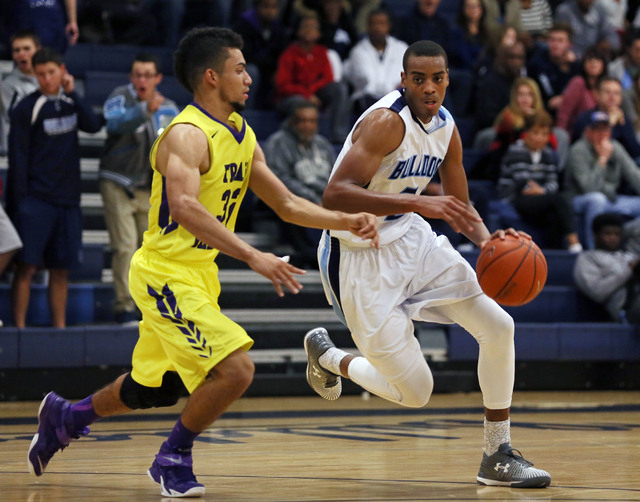 Michael Diggins added 12 points and 10 rebounds for the Trailblazers. 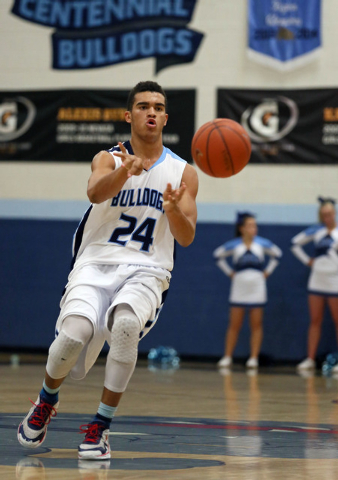 Brown had 16 points and three steals for Centennial. The 6-6 sophomore had nine points in the first quarter before going quiet. He woke up down the stretch, scoring four points in the final 3:37. Contact reporter Damon Seiters at dseiters@reviewjournal.com or 702-380-4587. Follow him on Twitter: @DamonSeiters.